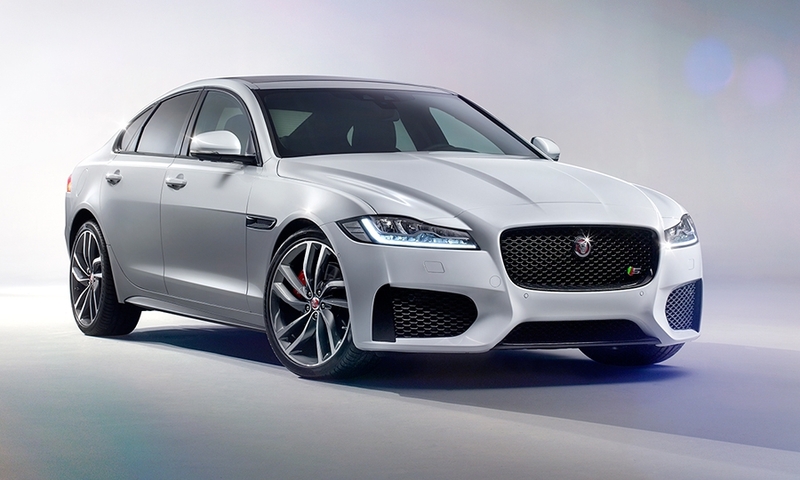 NEW YORK -- Jaguar is stepping up its game with the redesigned 2016 XF sedan, which features aluminum-intensive technology and boasts increased interior room and a host of high-technology safety and entertainment. 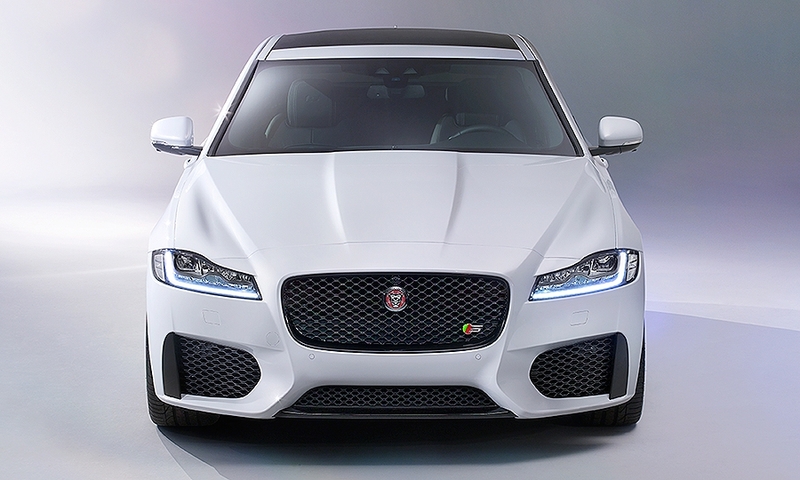 The new features is expected to make the midsize XF sedan more competitive with higher-volume luxury vehicles such as the Mercedes-Benz E-class sedan. 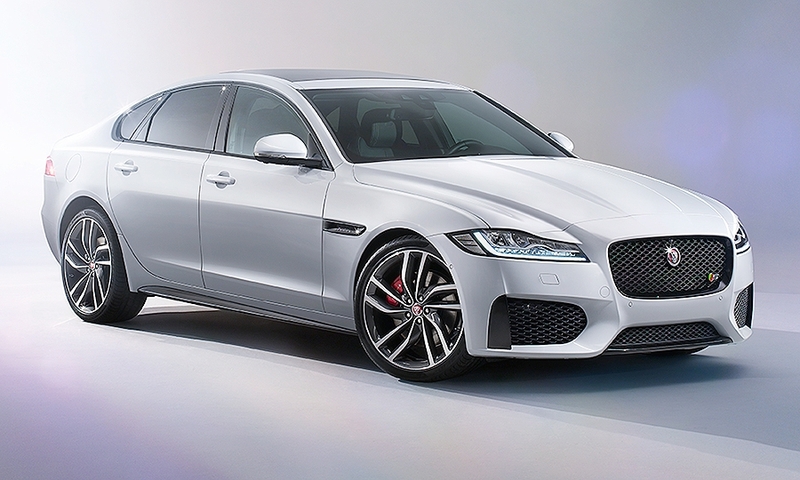 XF pricing will be announced closer to launch. 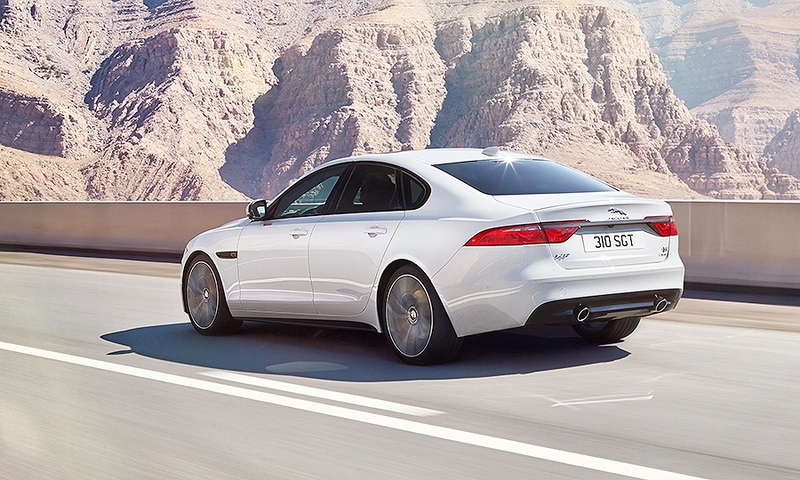 Sales of the XF fell 26 percent last year to 5,880 vehicles. 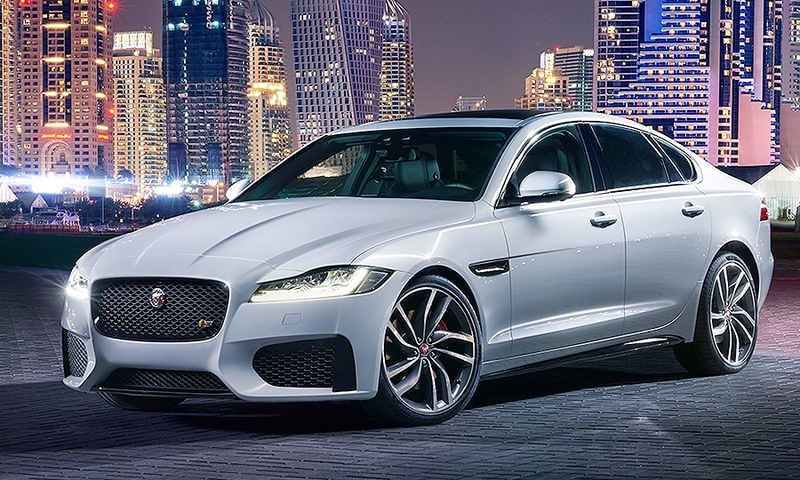 The XF will be available with either rear-wheel or all-wheel drive and a choice of two supercharged V-6 engines. 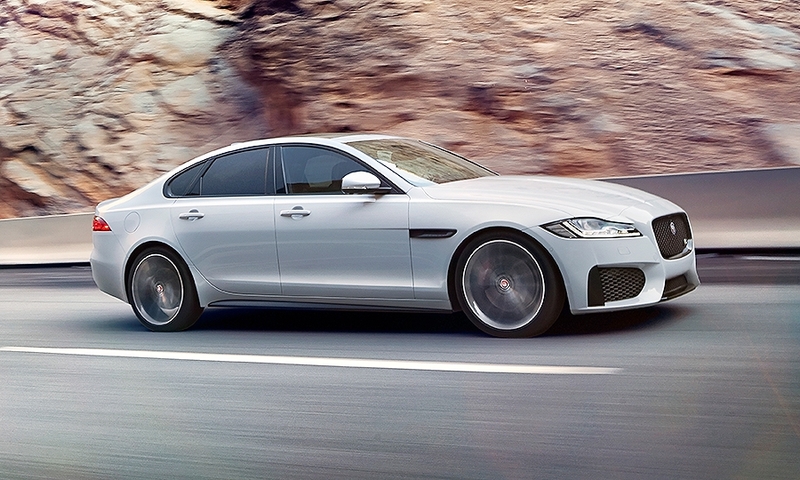 The XF’s wheelbase increases by 2 inches to 116.5 inches, but the length decreases by 0.3 inches to 195 inches. 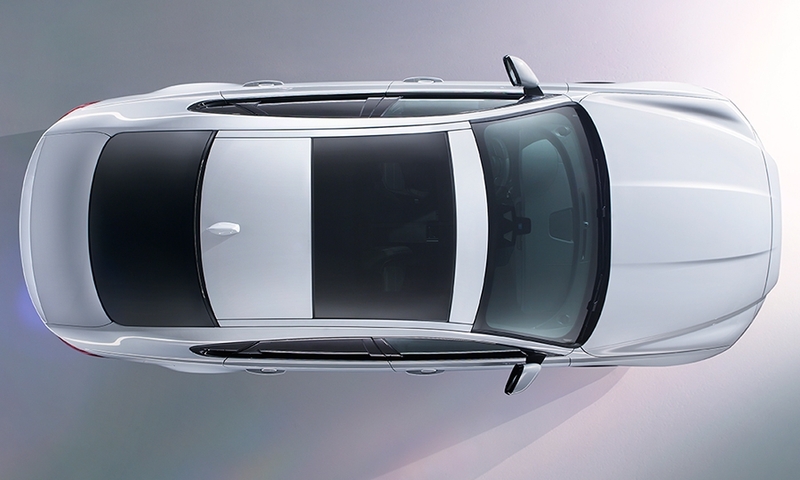 The longer wheelbase improves rear legroom, knee room and headroom. The front overhang is 2.6 inches shorter than on the current car. 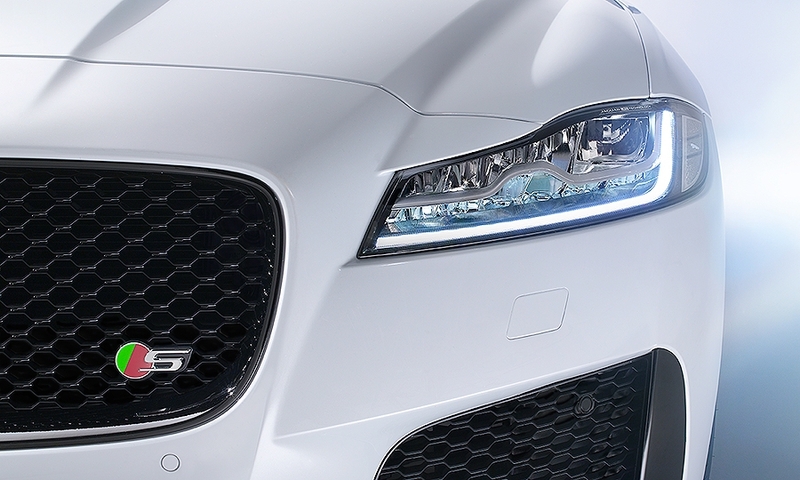 The grille is more vertical, “helping to reduce drag and delivering a more mature look to the vehicle,” Jaguar said. The interior has also been updated with a layered instrument panel and upgraded trim. 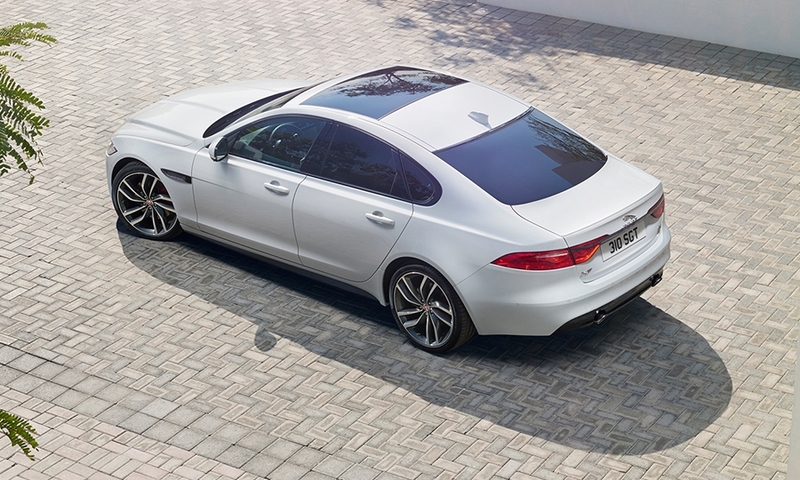 Because of the aluminum-intensive construction and other weight savings, the awd XF is up to 265 pounds lighter than the current car. 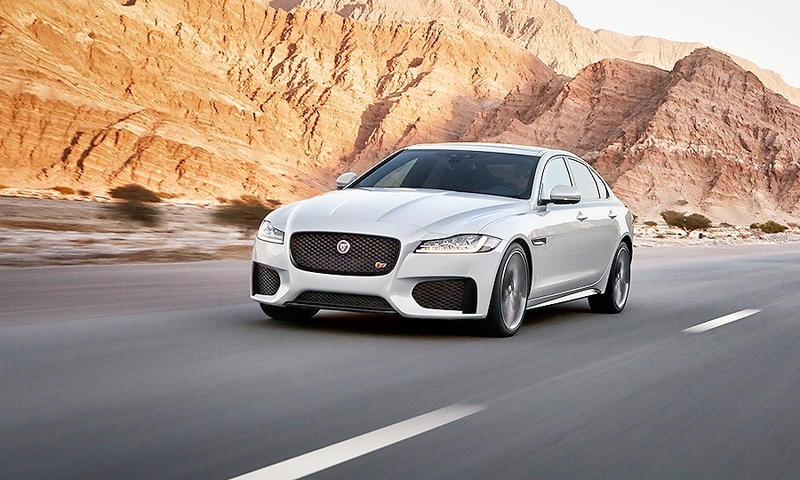 It is also up to 28 percent stiffer, Jaguar said. 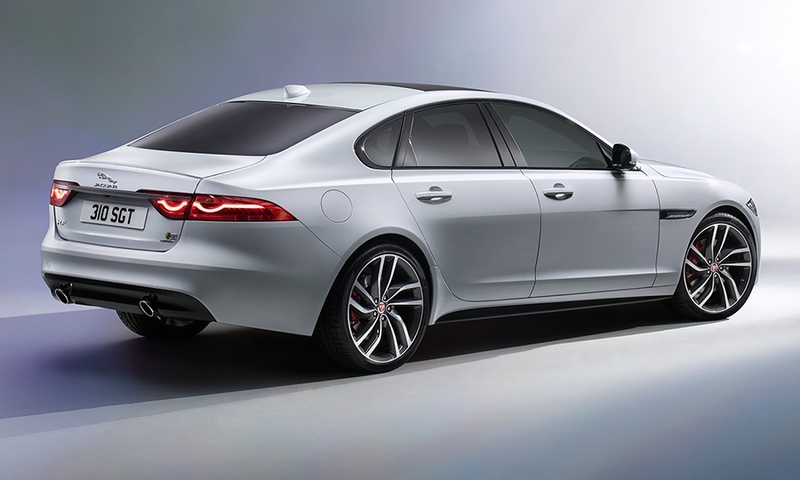 The 2016 XF is available with either a 340-hp or 380-hp 3.0-liter supercharged V-6 engine mated to an eight-speed automatic transmission. The sedan will be available with two infotainment systems. 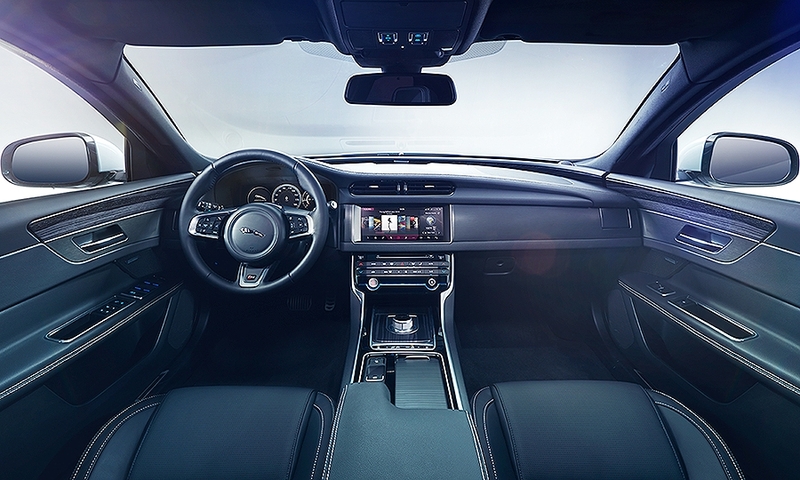 The standard system uses Jaguar’s 8-inch touchscreen. The navigation system can be used with voice control. A new InControl Touch Pro infotainment system uses a 10.2-inch screen that has no buttons on the side. The home screen can be customized. It also features pinch-to-zoom features similar to those on smartphones. 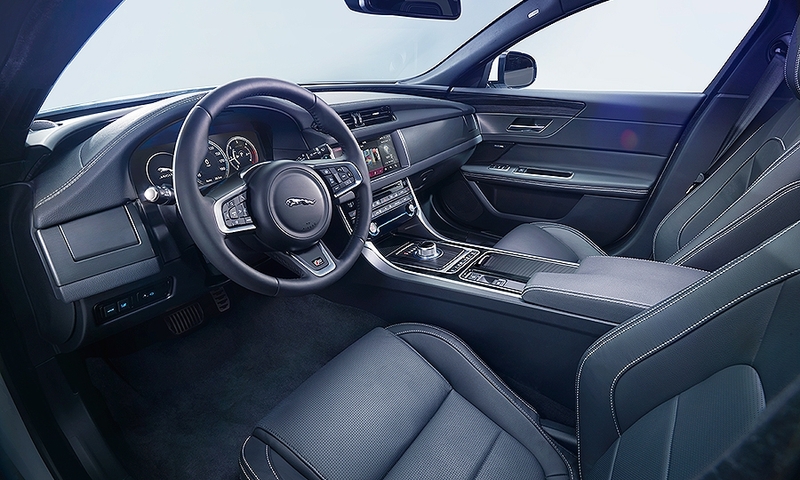 The XF also has a new InControl Remote system that will allow owners to use a smartphone to pre-set the interior temperature, check vehicle data and remotely lock or unlock the car. 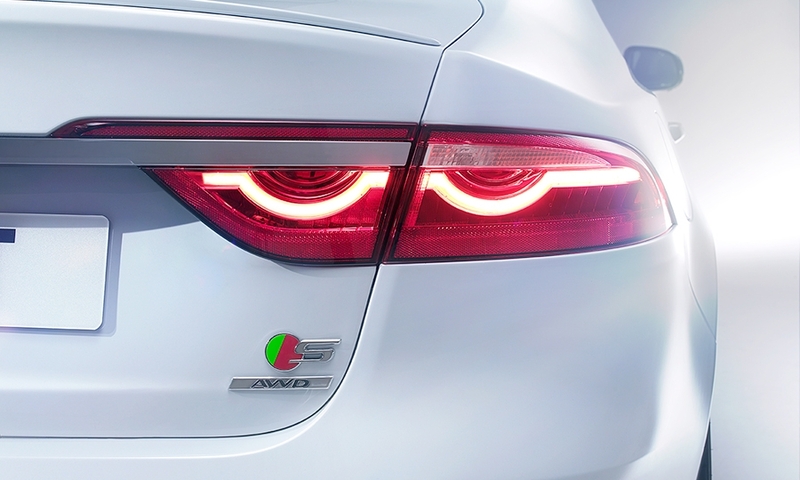 The XF features driver-assistance technology, including the standard all-surface progress control system that functions like a low-speed cruise control and operates at speeds between 2 and 19 mph. It also has an autonomous emergency braking system that can help avoid a collision with a vehicle in front. If the driver does not heed warnings, it can apply full brakes to avoid or lessen the effects of a crash. 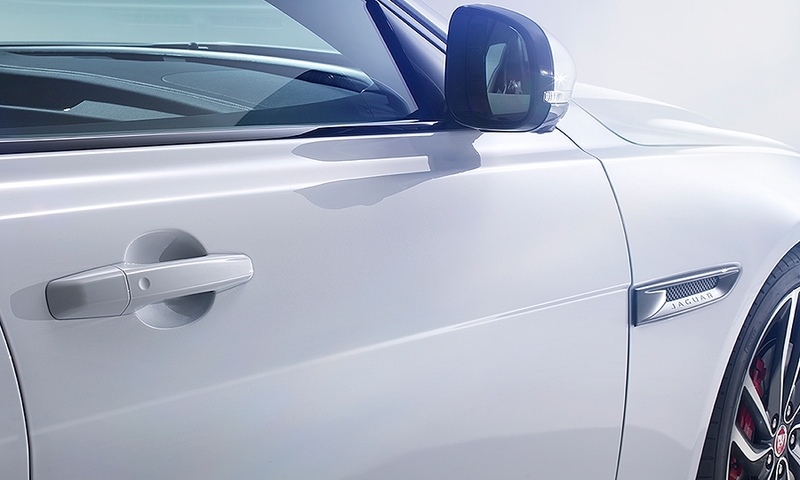 The car’s stereo front camera is also used by lane departure warning and lane-keeping assist systems. Other available systems include drowsiness monitoring, traffic sign recognition, a laser head-up display, improved adaptive cruise control that can track the vehicle in front, closing vehicle sensing and reverse traffic detection, and semi-automated park assist.